The Creative Arts Library, housed in the main university library, has strong holdings in scholarly music editions, journals, microfilm reprints of original materials, sound recordings, videos, scores, collected editions and monuments, facsimile editions and rare books. The scope of the collection includes all periods of Western music history from antiquity to the present; the interaction of music and high/popular culture; performance practice; repertory to support instrumental and voice instruction and chamber music performing ensembles; jazz, women and music; music theory, analysis, and composition; music aesthetics; and electronic music. 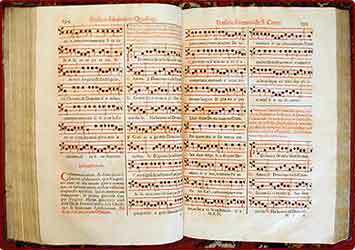 The University Archives houses the Walter F. and Alice Gorham Collection of Early Music Imprints, 1501-1650. View the manuscript collection on the Brandeis Special Collections blog. Or, view the entire Special Collections holdings. Students can join an electronic feed to keep them apprised of new acquisitions in their subject area. An online research guide for music is available to assist students in locating music-related resources. Go to the Library & Technology Services Research page for a complete list of library research resources. Brandeis also belongs to the Boston-area library consortium, allowing students to use books in major libraries in the area.